A beautiful autumn morning at nature reserve Bergerheide, part of National Park De Maasduinen, Nieuw-Bergen (Netherlands). 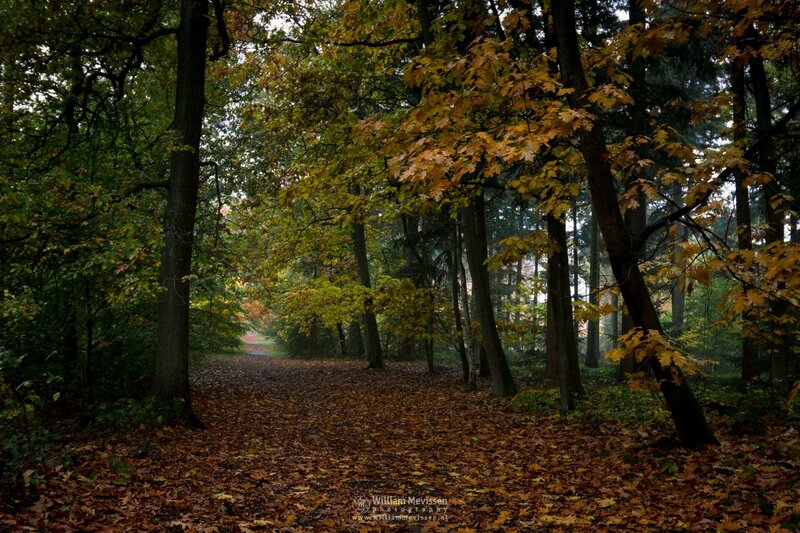 Click here for more information about photo 'Autumn Path Sunlight'. Cycling on a cold autumn morning at nature reserve Bergerheide, part of National Park De Maasduinen, Nieuw Bergen (Netherlands). 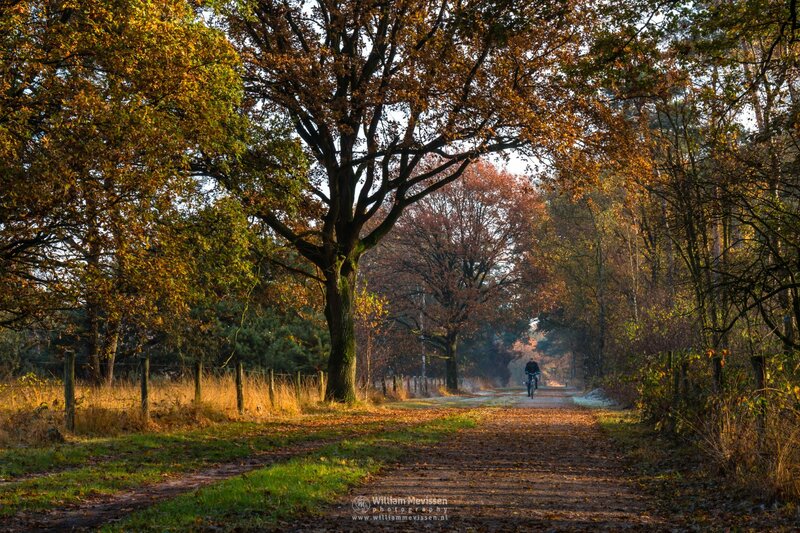 Click here for more information about photo 'Autumn Cycling'. 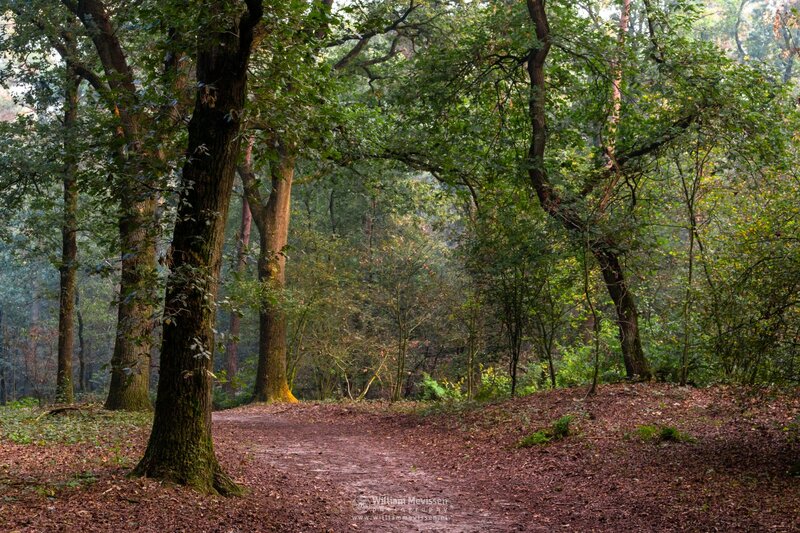 Path that splits into two paths and also splits nature reserves Boshuizerbergen (left) and Landgoed Geijsteren (right) in Venray (Netherlands). Click here for more information about photo 'Split Path'. 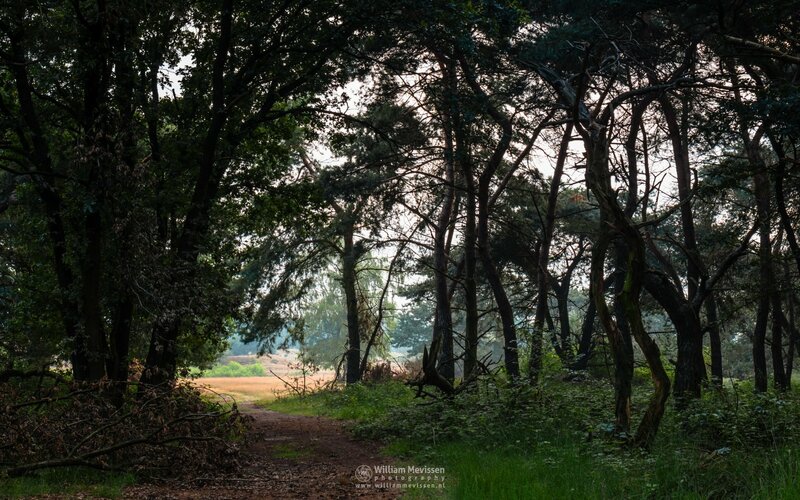 Sunrise in the forest of the nature reserve Vlakwater in Venray (Netherlands). Click here for more information about photo 'Vlakwater'. Click here for more information about 'Vlakwater'. 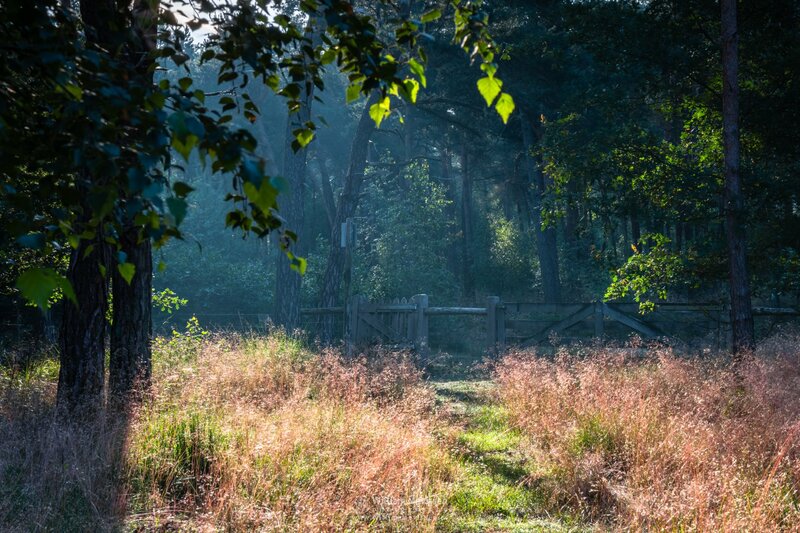 The gate to Landgoed Geijsteren in the forest of nature reserve Boshuizerbergen in Venray (Netherlands). Click here for more information about photo 'The Gate'. 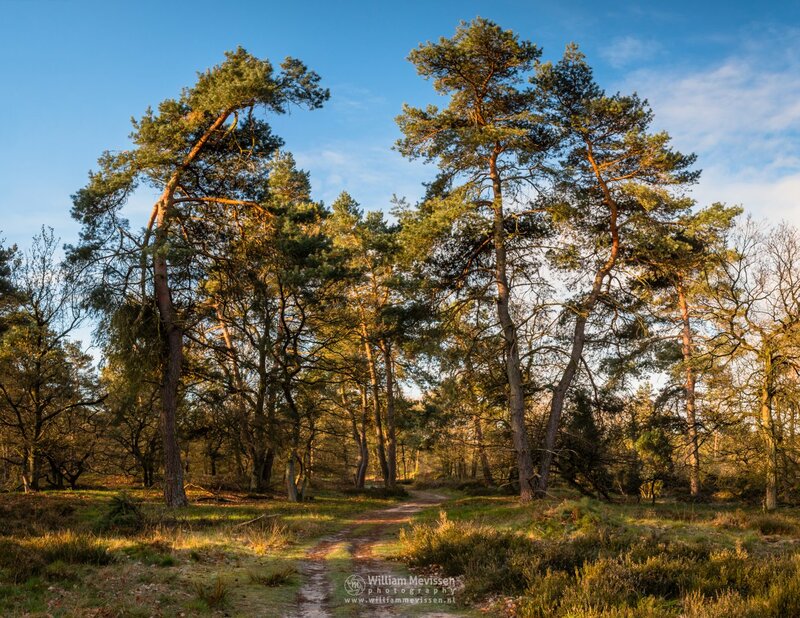 Beautiful light and colors during sunrise on a forest path at nature reserve Boshuizerbergen in Venray (Netherlands). 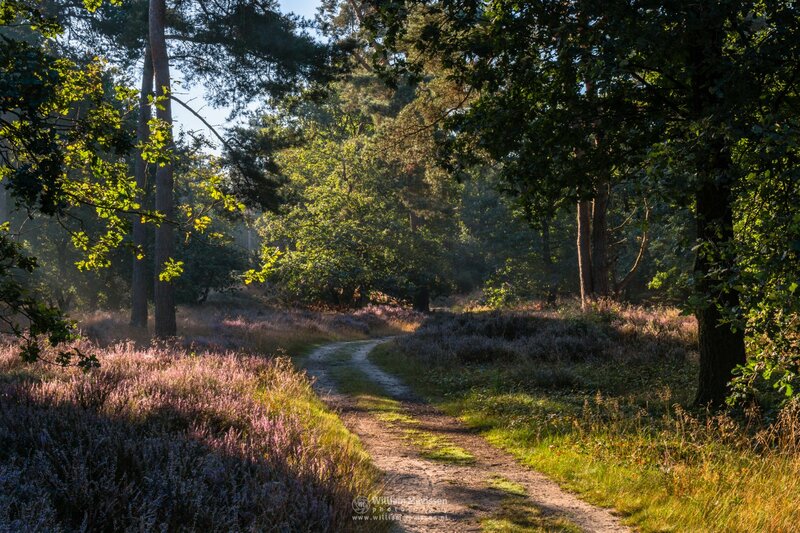 Click here for more information about photo 'Sunlit Heather Path'. 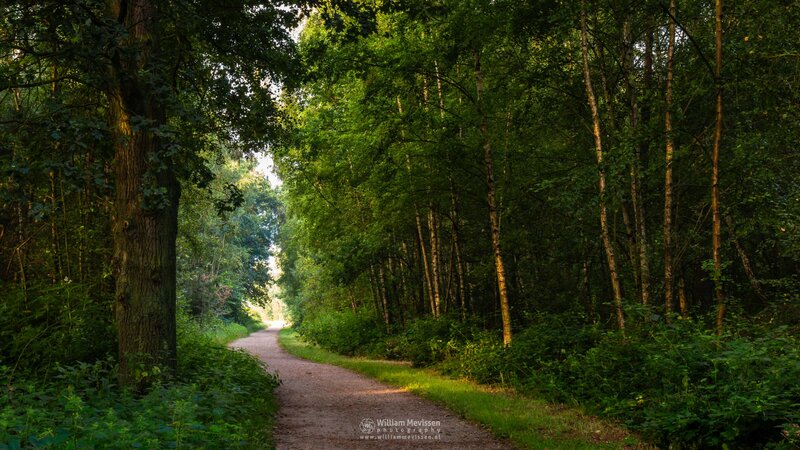 Path in the green forest surrounding lake Reindersmeer, National Park De Maasduinen, Well (Netherlands). Click here for more information about photo 'Path In The Green'. Misty Forest Lane Black & White at lake Reindersmeer, De Maasduinen National Park (Well, Netherlands). 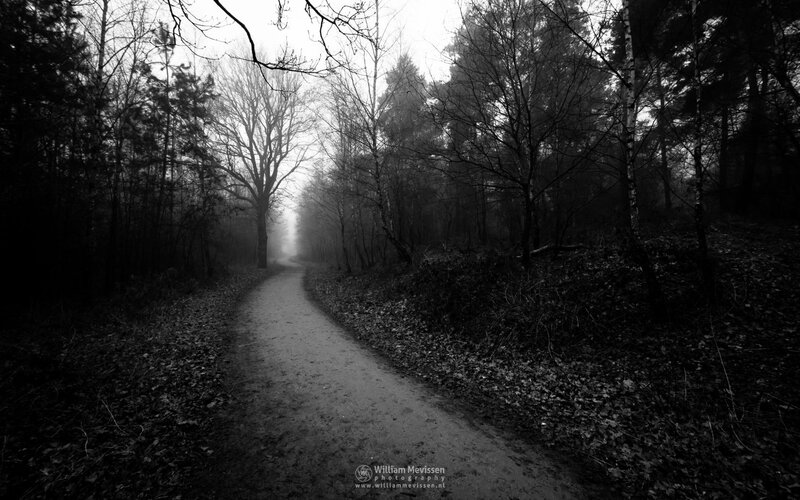 Click here for more information about photo 'Misty Forest Lane - B&W'. 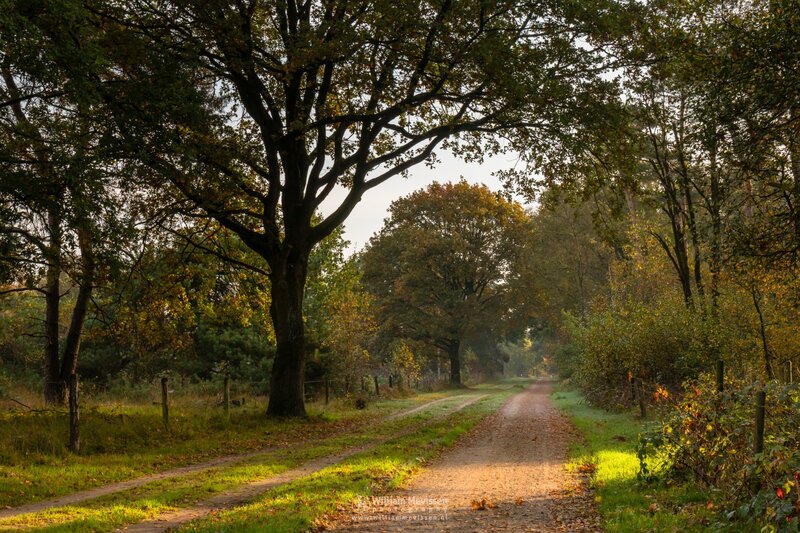 Autumn has arrived at the path along the fen Pikmeeuwenwater at estate Landgoed de Hamert, part of National Park 'De Maasduinen� (Wellerlooi, Noord-Limburg, Netherlands). 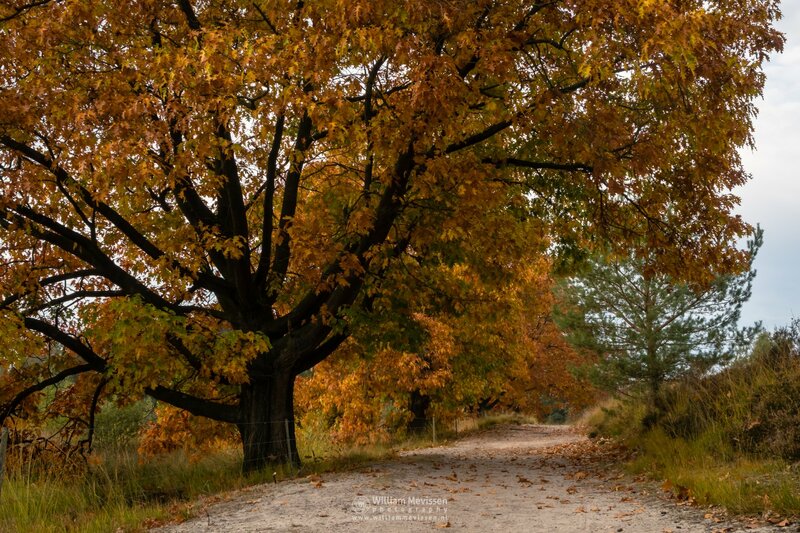 Click here for more information about photo 'Autumn Trees De Hamert'. Forest path at nature reserve Bergerheide, part of National Park De Maasduinen (Nieuw Bergen, Noord-Limburg, Netherlands). 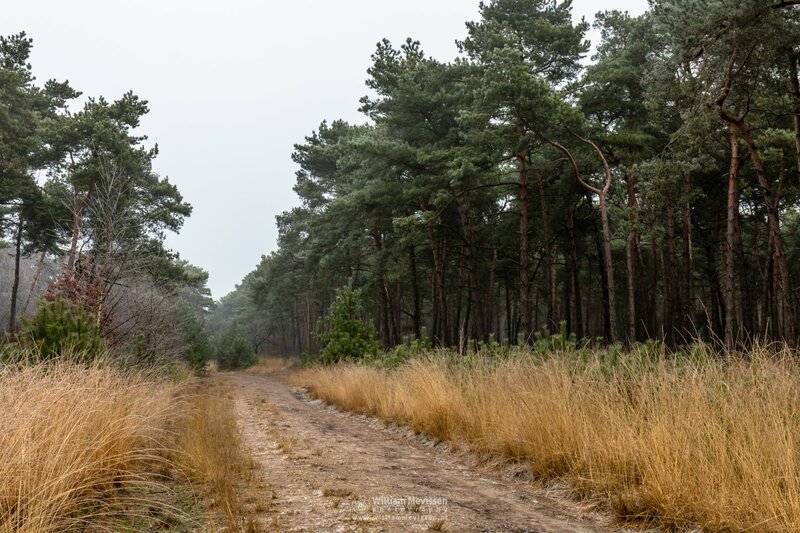 Click here for more information about photo 'Forest Path Bergerheide'. Drizzly Forest this moring at estate Landgoed Geijsteren (Geijsteren, Noord-Limburg, Netherlands). Click here for more information about photo 'Drizzly Forest'.